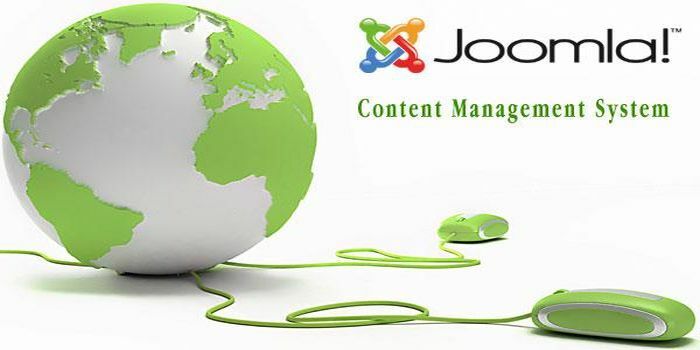 Joomla is a free and open source content management system (CMS) for publishing content on the World Wide Web (WWW) and intranets and a model–view–controller (MVC) web application framework that can also be used independently. A content management system is software that keeps track of every piece of content on websites, much like a local public library keeps track of books and stores them. Content can be simple text, photos, music, video, documents, or just about anything you can think of. A major advantage of using a CMS is that it requires almost no technical skill or knowledge to manage, since the CMS manages all the content. Joomla is written in PHP, uses object-oriented programming (OOP) techniques and software design patterns, stores data in a MySQL or MS SQL database. Because of the ease of use Joomla is used by web designers and developers, for fast and smooth development of sites. Then, with a minimal amount of instruction, it empowers the clients to easily manage the sites themselves. It includes features such as page caching, RSS feeds, printable versions of pages, news flashes, blogs, polls, search, and support for language internationalization. The many aspects making Joomla desirable for a site, includes its ease-of-use and extensibility. Best of all, Joomla is an open source solution that is freely available to everyone. Joomla is the most popular open source CMS currently available as evidenced by a vibrant and growing community of friendly users and talented developers. Joomla’s roots go back to 2000 and, with over 200,000 community users and contributors, the future looks bright for the award-winning Joomla Project. Joomla is designed to be easy to install and set up even if not done by an advanced user. Many Web hosting services offer a single-click install, getting a new site up and running in just a few minutes. If the project needs specialized functionality, Joomla is highly extensible and thousands of extensions (most for free under the GPL license) are available in the Joomla Extension Directory. Studies show that the web is going mobile therefore it becomes essential for a site be mobile compatible. Millions of internet users access websites on their portable device and it is important to cater for them as well. The popularity and the amount of traffic coming to site can only be incremented by making it mobile compatible. This feature enhances the success rate of a good website. Joomla by default is designed to render with desktop browsers. Mobile compatibility can be added to a site in various ways. One of the most common is by installing extensions but the easiest is by ensuring that the website’s template is mobile compatible. • Dynamically adapt pages according to the device (such as, for example, resizing images based on the screen width). • Automatically generate a mobile template, based on an installed Joomla! desktop template. • Shorten articles on the mobile version of the page with a customized “Read-more” plugin. • Collaborates with the integrated Joomla! cache. • Fast and accurate device detection. • Easy “one zip uploading” installation. Ranosys Technologies provides website development service using Joomla. We try to serve all the purposes required by the client by implementing the functionalities provided by Content management System as well as by creating custom solutions as per requirement. Ranosys Technologies is a group of creative and innovative minds, which together can bring superior services using powerful and impactful tools such as Joomla. It is due to the upgraded knowledge of the Ranosys Technologies development team and latest infrastructure, that we have been able to deliver some very efficient and user friendly systems. Ranosys Technologies applies specialized and professional approach to understand the vital needs for a successful system and caters those functionalities as well as much for the ease of the user and for the fulfilment of the desired aim of the client.